Two years ago I wrote about my influences that shaped my internal images of a fantastic world. Which I ultimately traced back to dinosaur books from the 70s and 80s. Today I came upon this video about old dinosaur art. Seems like I’m not the only one. After many years, I decided to take another shot at digital painting. Often the most striking inspirations and impressions on my creativity are visuals, particulary involving colorful lighting and stark shadows. To the point that I don’t just want to describe the world of my imagination but to actually show it. Since I love colors but don’t really like handling paint, digital painting seems like just the medium for me. 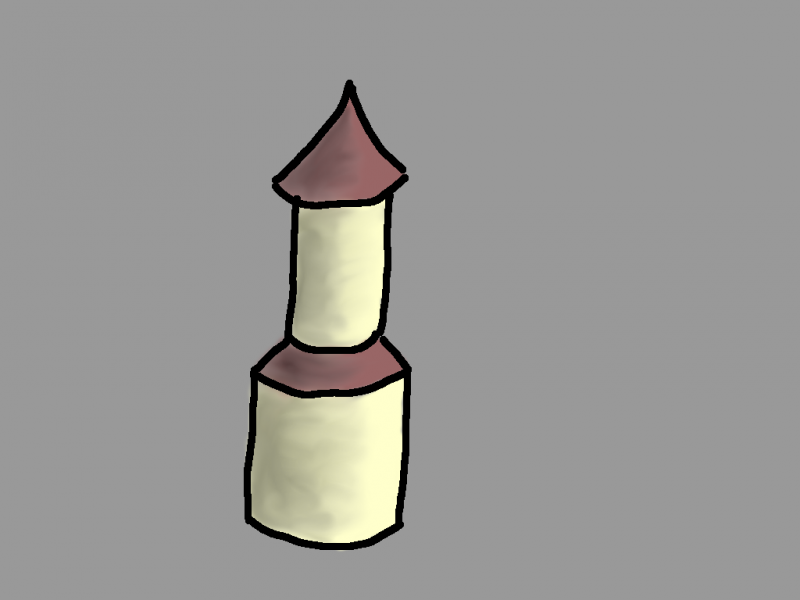 Working with a graphics tablet again for the first time in ages was a bit weird at first, but I quickly got back on that horse. Though my new tab certainly seems much better than the cheap one I had back then. Since I don’t really know anything of what I am doing, I looked up some guides for the very basics, and my first attempt in GIMP was this. I think it’s not half bad. It’s not great, but not bad. Certainly looks like a good start. Today I also tried comparing Krita to GIMP, and it immediately blew my mind away. I got all giddy just from drawing squiggly lines with the various preset brushes. 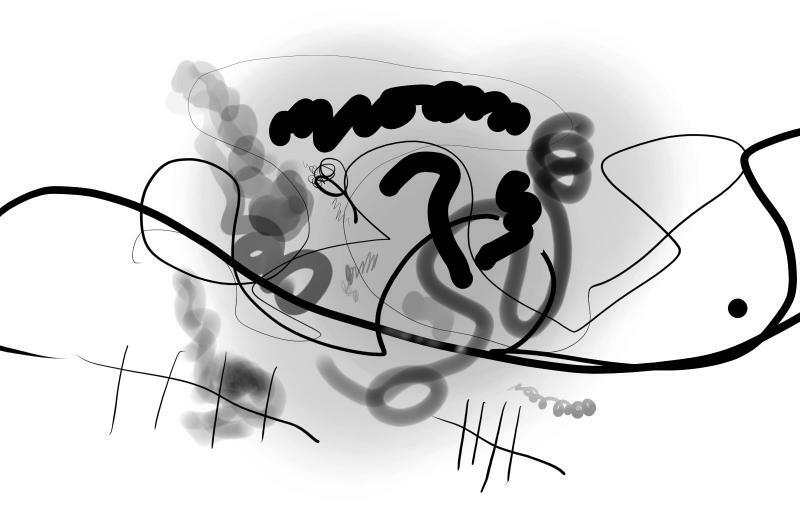 This pressure sensitivity is just amazing. The sharpness of the lines also surprised me, and somehow they don’t just look like but also feel like ink when drawing them. I’m really looking forward to practicing with this over my winter break. 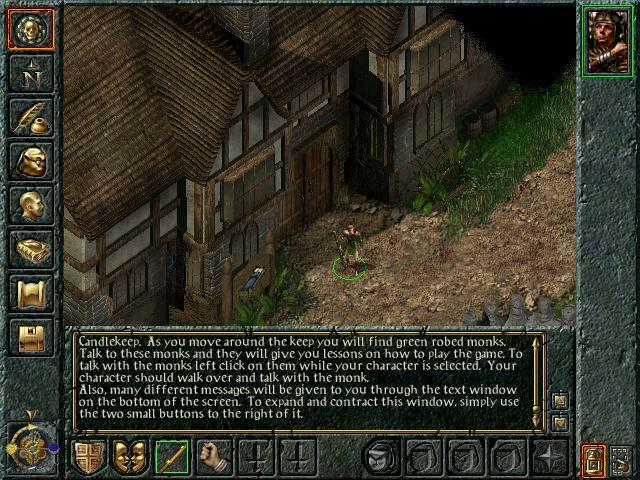 Twenty years ago, on this day, Baldur’s Gate was released for the first time. It was an immediate success and the first in a series of roleplaying games that made BioWare one of the biggest success stories in videogames for the next 15 years. One saturday in the summer of 1999, I was absolutely, soul-crushingly bored. In my apathetic desperation, I got out my then small stack of game magazines to look for anything that looked halfway promising and that would get me through the weekend. The magazines all had one full page list of all the reviews from the past 12 months, listed by rating. And they all had this game called Baldur’s Gate near the very top. I had one of the issues that was referenced and so for the first time I didn’t flip past the section that was labed “Rollenspiele”. At first, I was quite doubtful. Up to that point, fantasy didn’t really exist in my life. I had encountered a good number of childrens’ stories that could reasonably be called fantasy, and I had read The Lord of the Rings a few years before. I thought it was neat, but it didn’t really stick with me after having finished it. My world consisted of Star Trek and Star Wars – which at that point I still considered science fiction becuase space – and my collection of games was mostly made up of space combat and strategy games, and just recently Half-Life. Fantasy held no interest to me and even though the game magazines at the time always had a dedicated section for it, I didn’t even know what an RPG is. However, at the end of the review was a little box giving the game something like an 89% or 93%, which was what had first gotten my attention. And next to it were little one- or two-sentence statements from the two reviewers who praised the game as the most amazing thing ever. That was enough to make me read the whole 5 page review (which for such magazines was huge), and the more I read the more I got intrigued. So I grabbed my money, got on my bike, and went off to the department store in town where I always bought my games. And the game really didn’t disappoint. I was hooked right from the start and since then I never wanted anything else. From there on, fantasy was it! I got lots of other fantasy games over the following years, read piles of books, and got into tabletop games a year later. Baldur’s Gate was without any doubt the most important game in my entire life. At 15, I was probably highly susceptible to it, but there was more than that. I had already been getting into shoters and RTSs, but those never became a big part of my life. And I had been quite into science fiction, but that also faded away soon after. But fantasy, that stayed with me. I can’t even imagine what person I would be today without my love for the fantastic. What would I be doing with all my creative energies? 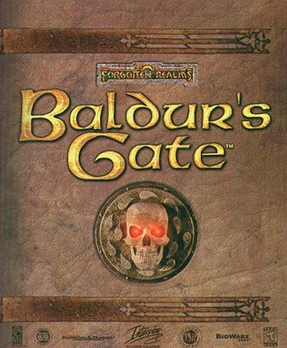 So I think it’s safe to say that encountering Baldur’s Gate was one of the most important events in my whole life. It was a turning point that set me on a completely different path from anything else I could have imagined. Something I often wonder is whether this game is actually still that great? Of course it is for me, and always will be. But I have not played it in ages, and getting it running again these days can run into infuriating difficulties. And for anyone who doesn’t already love it, would it really be as fun as it was for us those decades ago? I don’t know. To anyone who has been wondering if the game is worth giving a try, I fully recommend doing so. But would I recommend it to people who aren’t already interested in it? Probably not. But I am determined to give this game one more go. Quite possibly the last one. If it goes well, expect a proper any lengthy review of the game some point in the future. But don’t hold your breath, it’s a really long game. I’m not dead! I think I’m getting better. I’ve been somewhat busy with my RPG stuff and also now fast approaching my final exams of my training as a gardener, and so this site has fallen somewhat to the side. But there’s a good couple of topics regarding fantasy and fiction I really want to write longer pieces about. Just don’t expect them in the next couple of days. 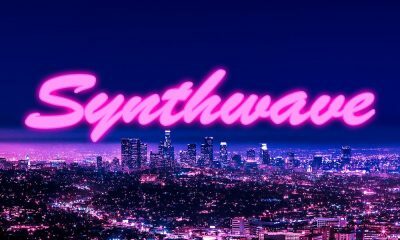 In the meantime, I want to share my love for Synthwave. The music genre that has its own color scheme. I’m usually not into electronic music, but there are some exceptions. Even though I was born in the 80s and just young enough to not have memories of Daft Punk not yet being around, I only really started listening to it three or four years ago after Random Access Memories came out. I’m one of those heretics who thinks Human After All was their best CD to that point, but also really liked their soundtrack for Tron 2. I heard it’s not a good movie, but a great super long Daft Punk music video. I think it was that soundtrack that made me run into the soundtracks for Hotline Miami and Drive on youtube. I thought those three were neat, but that was it. However a good time later, I don’t know what we were talking about, someone on a fantasy writing forum gave me a link to something by Pertubator, thinking I might like it. And it was then that I realized that there’s a whole genre of this music. It’s great stuff, with Pertubator and Trevor Something now being my favorite musicians. Synthwave is the music of Neo-Noir! The two go together as well as they did back in Blade Runner. It’s a shared aesthetic that picks up right where Blade Runner had already been 30 years earlier. I did some looking around, and you find a lot of people saying that Synthwave really took of with Drive, perhaps the quintessential neo-noir movie of the current generation. And then Hotline Miami cemented its foothold the following year. Though that was still after Mass Effect 2, so the actual roots have to go even further back . I said so before and I stick to it! And apparently other people agree as well. Beggar’s Canyon is a new forum focused on 90’s Star Wars. Still very early on, but I think it’s a very commendable effort. Would be great to see it grow into something substential.